Romania – Can an incumbent president campaign in favour of a political party? This is a matter that Romania’s Constitutional Court was asked to clarify ahead of the European Parliament election that will take place on May 24-25. The Court’s verdict is expected on May 21, just a few days ahead of the poll. The stakes in Romania’s European Parliament election are raised by the proximity of the next presidential election scheduled for November. President Băsescu is nearing the completion of his second term in office and is not allowed to stand for another one. As a result, the campaign is dominated by national politics. In this context, PM Ponta of the Social Democrats (PSD) has asked the Court to determine whether President Băsescu’s role in actively promoting the newly established centre-right Popular Movement Party (PMP) is legal. If the Court found his behaviour unconstitutional and the president continued to campaign for the PMP, then the ruling Social-Democrats would be ready to initiate a new suspension procedure. The president is accused of breaching article 80 of the Constitution, which requires the head of state to act as a mediator between political actors, and article 84, according to which he cannot join a political party while in office. According to the prime minister, President Băsescu has infringed the constitution by declaring his explicit intention to vote for the PMP in the European election in numerous occasions, including a press conference organized at his official residence. Moreover, a few photos of him wearing a t-shirt with the inscription “Vote for PMP” were posted on Facebook. The PMP is a new political party formed after President Băsescu broke with the Democratic Liberal Party (PDL) in March 2013. The rift between the head of state and his former party widened considerably during 2012. The president backed up unconditionally the austerity measures introduced by Emil Boc, the former PDL leader and prime minister between 2008 and 2012. As a result, he was unhappy to see PM Boc’s government ousted by a no-confidence motion in February 2012. He was even more displeased to see Emil Boc constrained to resign as PDL leader after the party polled a record low of 14% in the 2012 local elections. After PDL’s crushing defeat in the 2012 general election, Băsescu urged the party to elect a new leader capable of winning the 2016 general election. In the internal contest organized in March 2013 he supported Elena Udrea, a minister of tourism in the PDL government (2008-2012) and one of his loyal supporters. Following Udrea’s defeat, President Băsescu broke definitively with the PDL and vowed to create a new right-wing political movement. The PMP registered as a political party in January 2014. It has attracted the head of state’s supporters in the PDL, such as Elena Udrea and Emil Boc, and has a 16-member parliamentary group. The new party is also closing the gap on PDL in opinion polls and is expected to obtain around 10% of the vote for the European Parliament, only 1% less than the PDL. The difference between the two parties has decreased significantly since the president has explicitly stated his support for the new political grouping in early 2014 and started to attend its public events. Thus, the strategy used for the identification of the new presidential party seems to be working. The European Parliament election will be hard-fought in Romania as political parties see it as a last chance to measure their popularity ahead of the November race, which will be a key issue in the formation of new political alliances and the designation of presidential candidates. The ruling PSD is expected to obtain half of Romania’s 32 seats in the European Parliament. According to recent polls, its approval rating increased to almost 41% after the National Liberals (PNL) broke the Social-Liberal Union (USL) and left the government in February. The social democrats are expected to stand their own candidate in the presidential election, which is the main reason why the liberals left the ruling coalition. The outcome of the European elections is not so easy to predict as far as the parties on the right are concerned. Crin Antonescu, the PNL leader, vowed to resign if his party polls less than 20% of the vote. This is a likely scenario, considering that PNL’s current approval ratings do not raise above 17%. Alongside the PDL and the PMP, the Hungarian minority party (UDMR) and the Civic Force party led by former prime minister and aspiring presidential candidate Mihai Răzvan Ungureanu are also likely to pass the 5% electoral threshold. Political commentators believe that centre-right parties can compete with a good chance in the next presidential election only if they agree on a common presidential candidate instead of fielding their own contenders. President Băsescu, who intends to return to active party politics when his second term ends, is also a staunch supporter of the right’s reunification. 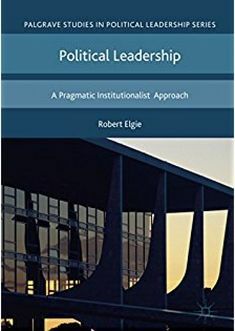 His ability to influence the formation of a new political alliances and the designation of a common candidate of the right could depend on how well the PMP does in the European election. Therefore, he has good reasons to continue playing an active role in the current electoral campaign. This entry was posted in Europe, Romania and tagged Constitutional Court, electoral campaign, European Parliament election, presidential election, Traian Basescu, Victor Ponta on May 14, 2014 by Cristina Bucur.